Eight years have gone by with government investing social, economic and political interests in the oil and fish rich peninsula. 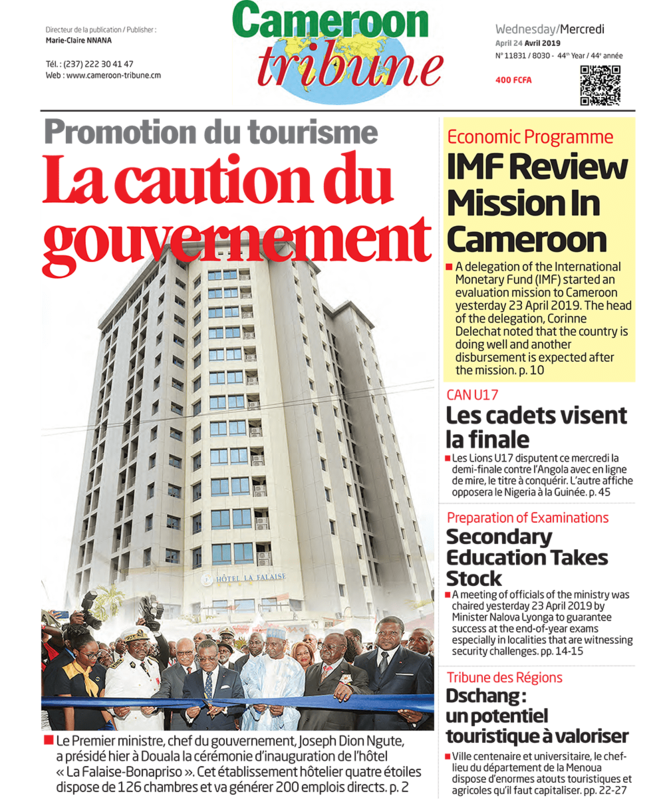 Last Sunday, 14 August, 2016, marked the eighth year following Cameroon’s take-over of the hitherto disputed Bakassi Peninsula. Cameroon, however, regained full citizen and tax control of the Peninsula last 9 October following an agreement that any inhabitant of the area must either declare for Nigeria and pay resident permit or declare for Cameroon and obtain the National Identity card. Within the eight years of Bakassi-back-home, the Cameroonian government has been very much in the news for investing social, economic, and political interest in the oil and fish rich peninsula. The investments are reported to cost billions of FCFA to sustain local governments or Councils (six in number), provide potable water, erect schools (primary, secondary and high), install agricultural offices, establish Police stations and maintain the Defence Forces on the field. The most recent investment was noted when PAMOL Plantations opened an area in Bakassi early 2016 to resettle farmers of oil palms and also repopulate the land. Before then, the Military Engineering Corps had invested some FCFA 640 million for 60 fishermen homes and CFA 300 Million for telecommunications pylons. An on-the-spot appraisal of the projects showed the pylons were 50 percent finished last May. Meanwhile the fishermen village of 60 homes was completed at New Beach and awaiting a final works report by the Military Engineering Corps as the executing agency. This would lead to an official reception by MINEPIA. The Military Engineering Corps led by Colonel Jackson Kamgain, MINEPIA led by Oumarou Ousmanou and MINATD headed by Ndian Senior Divisional Officer, Ntou’ou Ndong Chamberlin, accompanied by experts were on the field on 30 April this year to inspect the work. The two earmarked villages for fishermen are the New Beach-Isangele and Mbemong. At New Beach-Isangele a 5-hectare land surface has been invested to host 60 homes each on 53 square metres (56 in blocks and 4 in wooden material), all electrified with solar energy, 64 toilets in eight structures, and a borehole with a water reservoir functioning with solar energy. Each of the homes has two bedrooms and a veranda. A six-kilometre access road linking the village to Isangele headquarters was also created by the “Genie Militaire”. According to Mr. Oumarou Ousmanou of MINEPIA, the last thing to be done is for Government to install security posts in the fishermen village and everything shall be ready.